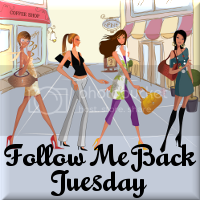 It's Follow Me Back Tuesday! Welcome to my blog, Cheapskate4Life! Let me know if you are a new follower so I can follow you back! Hi! Thanks for the follow. I am now following back. I love the purple! I'm following you. Can't wait to read more of your reviews. I'm a new follower. I try to start at the bottom of the list because I'm always at the bottom! Look forward to reading more! Thanks for joining Mailbox Monday! I am your newest email subscriber. You have a new follower! I look forward to following your blog! Come visit Mama's Little Chick. Thanks for following me! I'm on your list. I hope you get to do a Financial Peace University class. It will have you looking at finances in a completely different way! Good luck. If you have any questions, feel free to ask. I'm a new follower~ I hope you can stop by my blog and visit; maybe even follow me back. Have a great week! Thanks for linking up for FMBT and following. I'm following back.